The Honor 20 (previously rumored as the Honor 11) is the next flagship phone with a more mid-range price tag to come out of the Chinese firm. 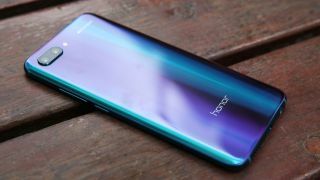 Honor has announced that the Honor 20 phone series will launch on May 21, around half a year after the Honor View 20 launched in December 2018, so we're expecting to hear a lot more about the phone in the weeks beforehand. You'll find those below, along with a list of the things we most want from the Honor 20, to make it even more impressive than the Honor 10 it's set to replace. There aren’t many Honor 20 release date rumors so far and that’s no surprise as the company launched the View 20 at the end of December. It means that the most likely Honor 20 release date at the moment would be May 2019, assuming the firm keeps with its current release cycle. A new rumor from China suggests the company may launch a phone called the Honor 20 Pro on April 25. Whether that means this is the follow up to the Honor 10 remains to be seen as it may just be a new variant of the Honor View 20. Don't count on being able to buy the Honor 20 in the US or Australia though, as many Honor phones don't hit those countries. A leak suggested it'll launch in three sizes, with prices starting at ¥2,999 (roughly $450, £350 or AU$630). Since phones often launch at very different prices in China as the rest of the world we don't expect the Honor 20 to launch at exactly that price, but it could be in the ballpark. We've also seen that suggested in a leak from China that believes the phone will come with the top-end chipset as well as either 6GB or 8GB of RAM. You'll also have the choice of 128GB or 256GB of storage. In one of the first Honor 20 leaks, we heard that the device could have a tri-lens rear camera setup consisting of a 48MP/20MP/8MP trio, as well as a 32MP front camera, which would make it quite the photographic powerhouse, although as with all leaks it's worth taking this with a pinch of salt. That same leak above that spoke about RAM suggested the company will be using a IMX600 Sony sensor, which we've previously seen perform well in the Huawei P30 Pro. While we’re waiting for more Honor 20 rumors and leaks, here’s a list of the seven things we most want from it. A Honor 20 leak suggested it'll have a 3,650mAh battery pack, which is above the Honor 10's 3,400mAh but still below the Honor View 20's 4,000mAh.